Dr. Jennifer Herrera (or “Dr. J”) is the founder of four charter schools, Tucson International Academies, and the creator of the “Making College Come True” system. For the past ten years, 100% of her students have been accepted into college. The myth is that a college degree is expensive. The fact is that not having a college degree is expensive. Over a lifetime, a college graduate typically earns a million dollars more than a high school graduate. Education is the key that opens many doors. Dr. Jennifer Herrera (or “Dr. J”) is the founder of four charter schools, Tucson International Academies, and the creator of the “Making College Come True” system. For the past ten years, 100% of her students have been accepted into college. • they’re not a US citizen It's not their fault—no one has taken the time to explain the truth. Until now. 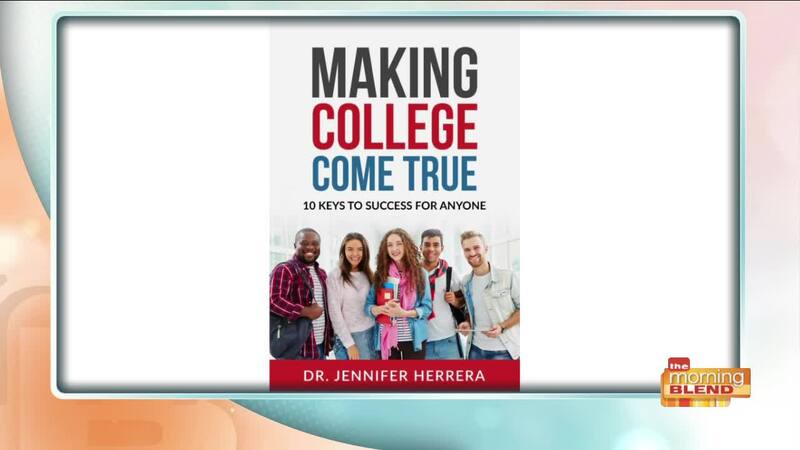 Dr. Jennifer Herrera reveals her proven system for “Making College Come True” and ten keys that you can use right away to set yourself—or your student—up for success. Principal, Mrs. Valerie Enriquez, also joins her.